How Can I Publish an Ebook To Land More Clients? These days, it doesn’t have to be difficult to land clients as a freelancer. There’s job boards, freelancing sites, and even social media sites for you to sell your services on. However, there are other ways of getting noticed by your ideal client. 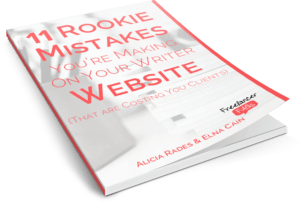 Many freelance writers write eBooks to get themselves noticed online, while also establishing themselves as an authority within their niche. eBooks can establish yourself as an authority in your freelance writing niche. Would publishing an eBook work for you? Read on to see if it would be worth the commitment. Ebooks have become the great leveller in the publishing field. If you wanted to publish in the traditional press, you would have to submit your manuscript to the publishers and hope they find it in their slush pile. Then you have to hope that they’ll actually like it, and that they decide to publish it. Publishing houses are looking for what will sell large amounts of books. That means if your specialist subject is too niche, you won’t get a look in. Epublishing is driven entirely by you, the writer. That means you can publish more specialist and unique books, books you know readers will want. It also makes it a lot easier to distribute them, as readers don’t need to be sent physical copies. All in all, many authors are turning to epublishing as a way of getting noticed. If you can get to grips with the concept of ‘discoverability‘, you can bring in more readers and possibly clients. How Easy is it to Publish Online? It’s much easier than you think to get a book ready and published online. The hardest part can often be actually writing the piece itself. Many writers are put off by the idea of having to format their book for eReaders, or having to create covers for their books. These tasks aren’t very difficult in practice. If you write your book in Microsoft Word, all you have to do is format the piece into a PDF. There are lots of guides online, such as this one, that can help you with this. As for covers, they’re easier than you’d think. If you need images, you can find royalty free or stock photos easily online. If you’re a whizz with Photoshop, it’s only a few minutes work. If you’re not, then you can use online programs such as Canva that can help you create that all important cover. Once these tasks are done, you have a few options as to where to publish your book. Amazon: This is one of the most popular places to publish online. After all, Amazon has such a huge market share it may be worth publishing here, just to get your book seen. Their Kindle publishing service walks you through the process, so it’s easy as pie to do so. Independent eBook websites: A website such as Smashwords could be the way to go if you want to publish. They’re the home of the more specialist texts out there, so anyone looking for someone with your skill set may already be looking there. Your own store: If you already have a sizeable following, it may be worth creating your own online store. Services like Shopify make the process very simple, and it’s becoming more popular. You’ll also make more money from the sales than going through a publishing service. Everybody’s doing it: Because the publishing process is so simple, everyone’s doing it. That means the marketplace can be crowded, and it’s tough to get noticed. This is another reason why you may be better off publishing in your own store. Quality is low: Again, the ease of publishing is at fault here. Online publishing has a bad reputation for ill thought out, badly written books. Yours will have to stand out by being exceptional in both content and delivery. Get an ISBN code: This code will list your book with a publisher, so your book becomes more discoverable. If you’re publishing from your own store, you’ll have to buy your code, but it’s not too expensive. Send out preview copies: Ebooks are easily distributed. You can send preview copies to notable people in your field or your email list, if you have one. They may not read it but if they do you could get good word of mouth press about it. Always be marketing: No one will know about your book if you don’t talk about it. Use social media, blogs, and other online mediums to advertise and promote your eBook. Be careful not to be too overly promotional though, as that can actually turn your potential readers off. So, Can You Get Clients by Publishing an eBook? You certainly can bring in more clients by writing an eBook, but of course there are some caveats. Not any old book will do. An eBook needs as much thought and work put into it as any piece that you would put into print. This is a book that you’re going to use to really highlight what you can do as a writer. It will also highlight your knowledge, and your technical expertise. It’s not as easy as simply publishing the book and hoping that people notice. You need to put yourself out there. Market that book, and make sure it makes its way into the right hands. It takes a lot of work and effort, but acquiring high paying clients will pay off in the long run. Michelle Deery is a freelance writer for Heroic Search. She specializes in all things marketing. When not writing, she’s usually going for long walks on the beach with her beloved dog Jack.